We have just released several feature enhancements to Blurb BookWright that will improve your book-making experience. To update your BookWright application, all you need to do is restart the application and our auto-update feature will do the rest! To name a few, we have added tons more page layout options to BookWright. For Photo Books, Trade Books, and Magazines, we now have over 125 layouts per trim size to help you design the perfect book for you. We also have multiple Cover Layouts per cover type. Whether it’s a Dust Jacket, ImageWrap or Softcover book, there are several options to get you going in the right direction. And if you are someone who has used BookSmart in the past and are looking to upgrade to BookWright, you will find many of the same layouts that you are used to. Want to find all the latest layouts? Navigate to the cover or pages section of your book and select the Layouts tab. Easy as that! We actively interview and solicit feedback from our community of book-makers. By doing so, we are able to make updates to the tool that our customers want. Enter the ability rotate your images and text to any angle that you want in BookWright. You’ll no longer be restricted to 90-degree rotations. Like what you see? Stay tuned! We will be releasing more community requested features like this in the near future! As part of our support for rotating your content, we now allow users to place images and text off of the book page. 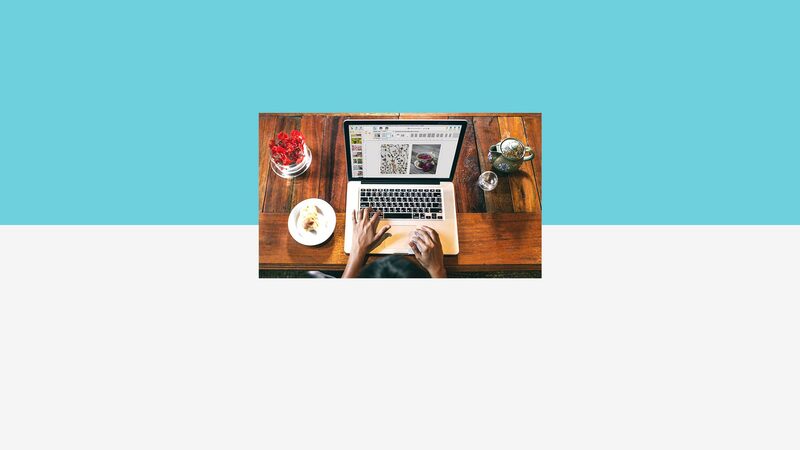 This will allow you to rotate and place content in such a way that doesn’t prevent you from placing it too far from the edge of the page. In addition, this will allow you to ensure that your images go all the way to the edge of the page for full bleed designs. When books are printed the outside content is trimmed off of your book, hanging an image off the page will ensure that your book will not end up with a white line on the edge of your page. Any new features you’ve been wanting to see in BookWright? Tell us in the comments below. We’d love to hear from you! Thanks for the comment, Sam! No, there is no key for this at the moment. We’ll let our team know about your request. I’d like to be able to do more with type. Like more type fonts, drop caps at the start of a paragraph and the ability to wrap text around a photo. It also would be nice to put a keyline around a photo. Most other online book making sites I’ve used already have this. Thanks for the feedback! I agree, we could use a few more type editing options. I’ll pass your suggestions on to our team. I would like that costs comes down, that one actually can sell a book without blushing .. Unfortunately, quality print-on-demand photo books will always be more expensive than their bookstore counterparts. However, have you tried our Trade Books or Magazines? We introduced those to help authors create lower-cost publications. Give them a try. Good for the new layouts and the ability to rotate things not just 90 degrees. But what I do is simple books, and I what I would really really love is to be able to input text/photo box sizes and placement by numerical values and not dragging with the mouse. 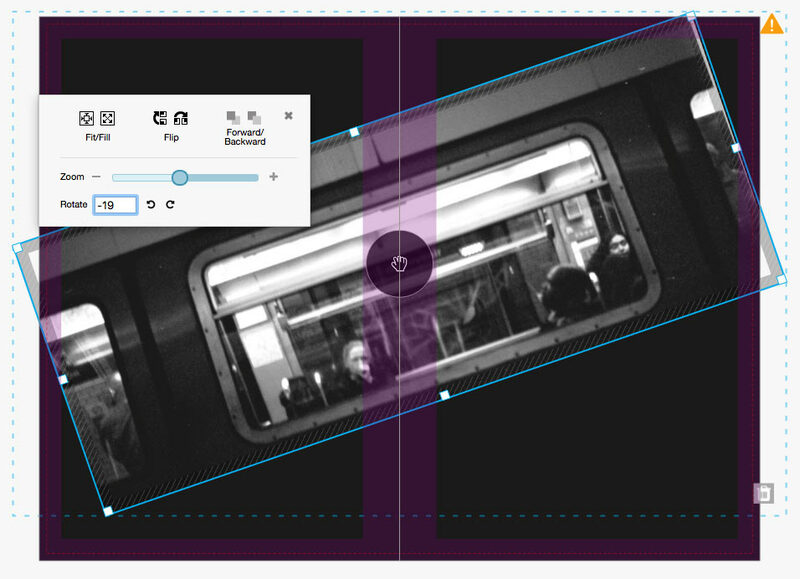 When I want to build perfect 10×15 or whatever photo boxes it makes me go crazy to zoom 300% or more and very slowly drag my finger across the trackpad… Can you please please make bookwright the best ever? Thanks so much for the feedback! It’s definitely a great feature request (and even one that I’ve asked about). I hope we are able to offer this at some point soon.